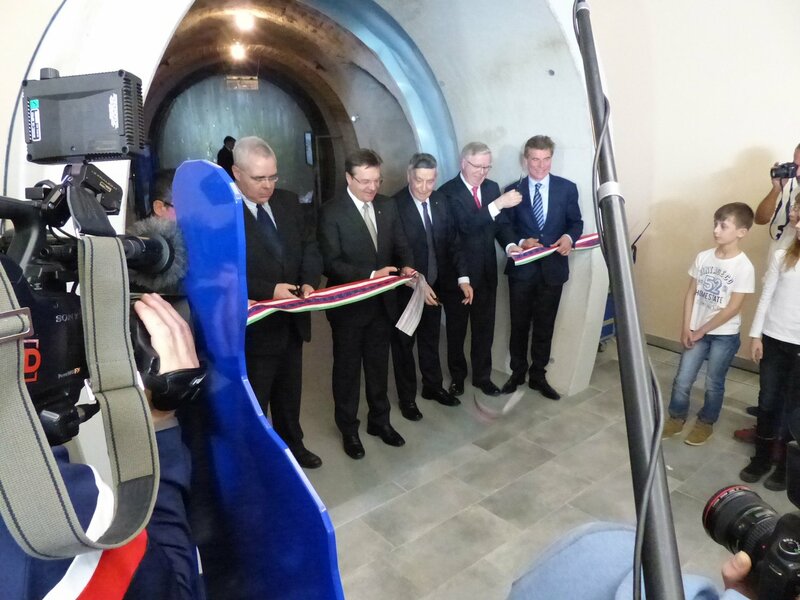 The new Brenner Base Tunnel Infocenter was opened in the presence of Governor of Tyrol Günther Platter and EU Coordinator Pat Cox. The exhibition called “Tunnel World” takes up 800 m². The idea for building the Infocenter was the result of the increasing interest shown by the local population in the construction of the railway tunnel and the underground excavation works. Numerous authorities and mayors from all over the project area in Tyrol and in Alto Adige and the members of the Intergovernmental Commission (IGC) for the Brenner Base Tunnel were present at the opening ceremony. Mons. Albert Moser blessed the new Infocenter. Governor Günther Platter emphasized the importance of involving the population in the project and expressed congratulations for the excellent work done on the Infocenter. The EU coordinator Pat Cox highlighted the uniqueness of the BBT project and its particular role in bridging gaps between nations. 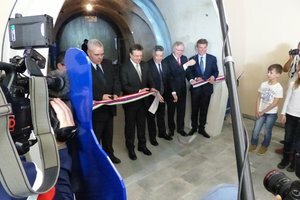 He recalled that among the more than 700 projects presented in 2015 to get European funding, the Brenner Base Tunnel project was ranked in first place. 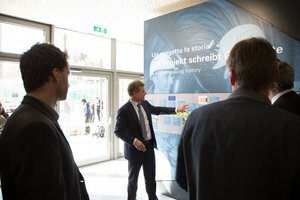 The Coordinator thanked all those involved in the Brenner Base Tunnel project and pointed out that thanks to the new Infocenter in Steinach the population will be involved even more closely in the project. Furthermore the Infocenter also has great potential as a tourist attraction for people from far beyond the national borders and thus it acts as a model on a European level. 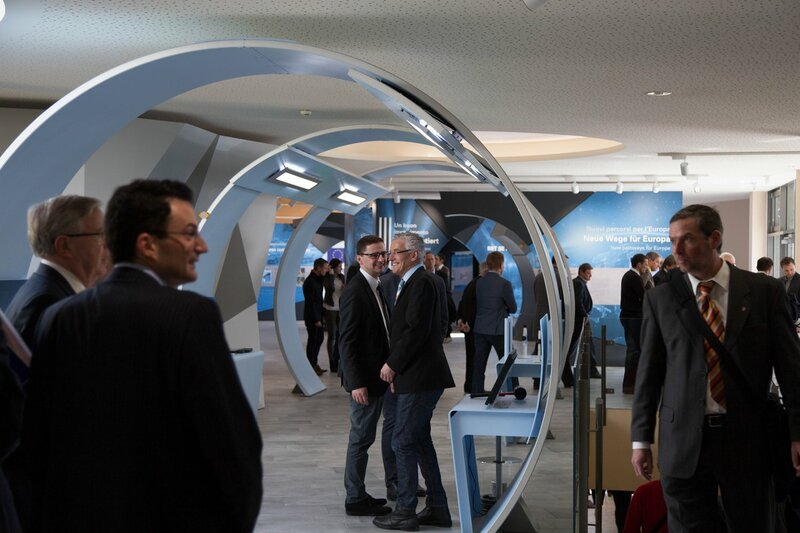 BBT SE CEOs Konrad Bergmeister and Raffaele Zurlo greeted the guests, before cutting the ribbon with the guests of honor. The musical accompaniment was provided by the students of the middle school in Steinach. 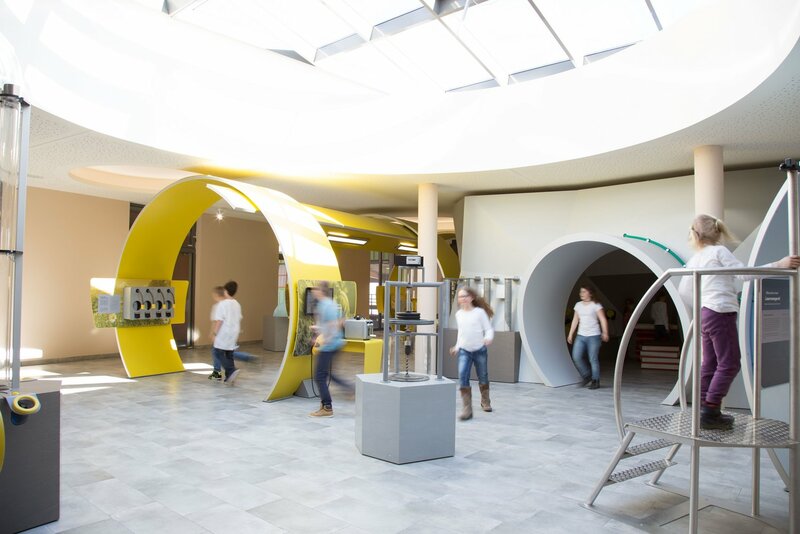 The information center in Steinach is an attraction for the local population, both as the starting point for construction site tours and as a fun, hands-on exhibition. 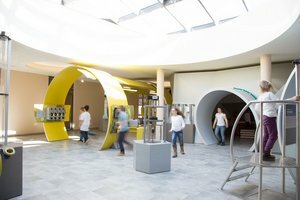 The tunnel exhibition is structured on two levels, including a real mine-shaft, many interactive exhibits which were specifically designed for younger visitors inviting them to actively participate as well as a section for experts. Many subjects are approached: exciting and interesting information on tunnel construction, mountain geology, the history of the Brenner Pass, nature, the environment and the laws of physics are only a few of the topics covered by the exhibition. After a brief test phase for the interactive exhibition pieces, Tunnel World will open its doors to the public on April 5th. The Infocenter is right in front of the Bergeralm valley station. Opening hours are from 10 AM to 5 PM from Tuesday to Sunday. Entrance is free of charge.